In 1948, the emerging state of Israel laid waste to hundreds of Palestinian villages. Today, three Palestinian villages are accusing the Palestinian Authority (PA) of laying waste to their ancestral lands. Roughly 826 dunums (204 acres) are to be confiscated from 220 families in the villages of Rammun, at-Tayba, and Deir Dibwan in order to construct a solid waste and sanitation landfill. Despite the landowners’ numerous and unanimous objections, the Israeli Civil Administration delivered official notice of the confiscation. However, the landowners are publicly claiming that the PA was behind the move. Construction may begin as soon as next month. A German government-owned development bank Kreditanstalt für Wiederaufbau (KfW) has agreed to fund the landfill project to contribute to a solution for the severe waste management crisis in the West Bank caused by Israel’s occupation policies of territorial fragmentation, including the Separation Wall. KfW has signed a 14 million Euro agreement with the PA to begin construction. Yet the costs incurred by people of the three villages could prove to be insurmountable, and their relationship with the PA irreversibly damaged. Rammun is a small village of mostly farmers and agricultural workers. Tucked away in the hills between Ramallah and Jericho, the entire village is 30,039 dunums of land. It is also an area of some strategic importance given that it adjoins the new city of Rawabi as well as the proposed airport. According to the 2007 Census there is a population of about 2,500 people. Almost 7,000 people live in other Arab countries, Latin America, and North America. [fn]Dina Omar is herself originally from Rammun. [/fn] Nearly 60% of Rammuni live in the diaspora because of the financial burdens imposed by the occupation, but they regularly send back remittances to family members who live in Rammun. Many, if not all, families from Rammun live a bifurcated life between their professional commitments in exile and their village Rammun. The land today belongs to four generations of people, and it was inherited from the three founding families, Thabata, Kahalah, and Shawakh. The founding of the village dates back to the early 1800’s and it is over 40 generations old. Under the Oslo Agreement, 1.6% of the village’s total area (the village center) was classified as Area A, i.e. under sole PA responsibility for internal security and public order, another 27% as Area B with shared PA-Israeli control (the village population lives in this area), and 71.4% of the total area is classified as area C, where Israel retains full control over security and administration. The villagers assert that to all intents and purposes, their lands have been treated as Area A and their land ownership has never been in question up until this impasse. Furthermore, Israeli soldiers have rarely entered the village, a pattern that was only broken a year ago when a Rammuni man was killed and two others injured by undercover Israeli army officers. According to interviews with Rammuni villagers, they have long been courted with purchase offers. In the late 1990’s the landowners were approached by KfW and the Joint Council of Solid Waste Management-Ramallah and Al-Bireh. Between 1996 and 2007 the landowners were offered generous sums of money to sell or lease the land. In 2011 KfW representatives had multiple meetings and consultations with families in Rammun encouraging them to lease their land for the proposed project. 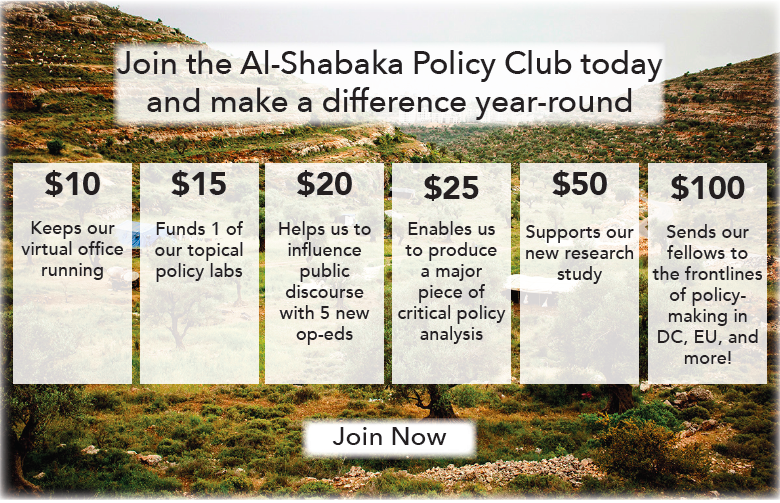 The offer and subsequent confiscation is styled as a 25-30 year “lease.” However, based on evidence from similar landfills built in the West Bank there is little to no indication that the land will ever be restored and used again to farm or build homes on in the future. Rabah Thabata, a leading member of the committee against the landfill, even claimed in a recent interview that the PA at one stage threatened to confiscate the land by force. Thabata further claims that once the PA realized that the landowners were not going to sell or lease their lands, they relied on the Israelis to confiscate it, given that it falls in Area C under the Oslo Agreement, so as to proceed with the landfill. 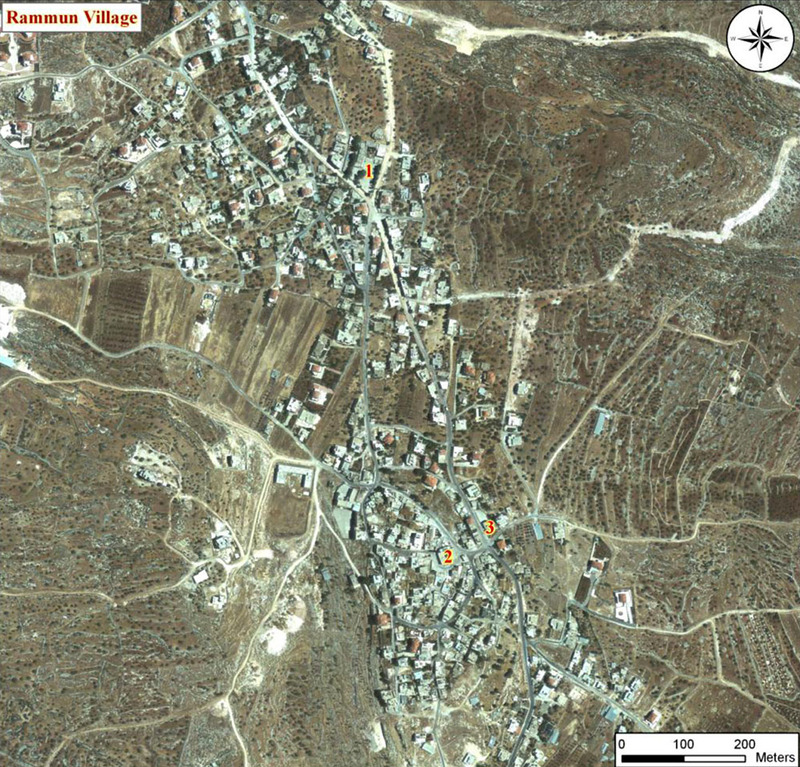 On 5 May 2013 the people of Rammun were given final notice by the Israeli Civil Administration about the land grab. The notice left a small window of time to file complaints without any indication that the complaints would be entertained. The notice also disclosed that no money would be given to the landowners and the landfill would be built regardless. Who’s Creating Facts on the Ground? Another Rammuni landowner, Ahmed Kahalah, explained that the landowners refused to sell for three main reasons. First, there would only be 1,200 meters of air distance between the residential area of Rammun and the landfill. Second, the soil of the proposed location is extremely fertile and there is an aquifer underground, and the villagers did not want to give up these resources. And finally, the long-term air, water, and soil pollution concerns heightened their fears that the polluted land would not actually be returned to the owners after 25-30 years. PA representative Hussain Abu-Oun, the chief engineer behind the project, asserts that the area in question has since 1993 “fallen under Area C.” He further claims that, “the proposed landfill is guaranteed to be less harmful to the citizens and to the environment” than similar sanitary and solid waste landfills, particularly the one located in Zahret al Finjan in the Jenin area. According to Kahalah, the landowners’ concerns stem from the problems that have arisen from Zahret al Finjan. According to a thesis written by Ibrahem Mohammad Nimer Hinde, titled: Benefit Cost Analysis of Solid Waste Management for the City of Qalqilia, the residents in Zahret al Finjan and Jenin have been severely affected by the landfill, both regarding negative environmental impacts on groundwater as well as severe air pollution. The landfill has seriously diminished the standard of living for the inhabitants of Zahret al Finjan and Jenin and the smell and general discomfort it brings to people’s lives is, at times, unbearable. Thus, the landowners in Rammun and other villagers argued that it would be best to build the landfill on land that could not be used for the cultivation of crops and cereals. Also non-cultivable lands have stone berries so that toxins and waste chemicals would not penetrate into the earth and poison it, forever altering future cultivability. Keeping in mind the dire need to build a landfill for the Ramallah and al-Bireh areas, the landowners offered a counter proposal that would site the landfill in an area that is non-cultivable with over 2,000 meters of air distance from residences of the three villages in question. Based on expert opinions, the landowners also thought it would be best to build the landfill on rocky land. Out of the 30,039 dunums of land in Rammun 9,519 dunums of land are cultivable and 20,463 dunums are non-cultivable. There is a surprising new development in this story: the Israeli settlers, illegally living on Palestinian territory, are also opposed to building the landfill - partly because they will not have access to it. The settler leaders are reportedly “upset that its settlements can not use the landfill” and complain that they have been ordered to close the dump where they now deposit their trash. The paradox is that the problems of sanitation and waste in the West Bank are a result of the occupation and the system of barriers and blockades that Israel has constructed to expand its illegal settlements on Palestinian territory. As a result, Palestinian communities must choose between transporting their waste to distant sites at their own cost or burning their garbage within or near their own residential areas, thus releasing toxic emissions into the air and leachate into soil and groundwater. The farming villages surrounding Ramallah sustain one the few local, Palestinian-owned and self-sustaining economic activities left in the West Bank—agriculture. Support from such rural areas has traditionally formed the backbone of the PA’s authority. If the PA is hoping to salvage any of its rapidly dwindling support it ought to listen and respond to the substantive concerns of the people who manage and live off the land and take their counterproposal seriously. A system to handle the complaints emerging from the landowners must be implemented and addressed in a meaningful way without compromising the construction of the direly needed landfill. The sanitation and waste management problem has plagued the Palestinian territories since the occupation began in June 1967, 46 years ago this month. The PA, international bodies, and many local civil society organizations have tried to address it, to no avail. Until the occupation ends, and the Palestinian people overall are able to exercise self-determination and sovereignty over their lands and resources, there is no hope of a sustainable solution to this problem as well as to the myriad of other violations of Palestinian human rights at home and in exile.